Tom* is in his 90’s. He’s been a customer at Choice Financial for two years. After his wife passed away, he decided to move everything over to a new account. He now comes into Choice at least once a month to chat and socialize. He’s the kind of guy who likes things done a certain way and appreciates routine. And ever since he met Universal Banker Danne Doering, he will only work with her. “He latched onto Danne, because she always follows through,” says Danne’s supervisor and location manager, LeRoy Adams. Not to mention Danne is bright, friendly, and has a great sense of humor — even in the midst of a deep project. Which was important when Tom came to her with a need that had been building for a long time. He entered the bank and headed straight to her office. “Why don’t I have direct deposit?” he asked. “Hmm?” Danne stopped what she was doing to help. “I’m tired of these checks being the reason I have to come into the bank,” Tom said. Every month, Tom receives checks for dividend and interest from a variety of companies that he has invested in. And every month, he comes to the bank with a handful of checks to deposit. This month, he decided he’d had enough. “Can we set up direct deposit?” he asked. “I knew he needed help with it,” she said. “I could either send him away or help him. “For all of the accounts?” Danne asked. Danne thought of all nine accounts that Tom had worked with over the decades. This was no small task. So she looked up, smiled, and nodded. Together, she prepared the forms that Tom needed to fill out to begin the transition process. “Can you do it?” he asked Danne. She grabbed a pen. After gathering all the information from Tom, Danne began calling each account. Of course, she ran into a few hurdles. At one account, Tom’s representative had retired. She went on a phone call chase to find out who replaced him. At another account, they had lost the paperwork and spent days trying to find it. Danne could only call the companies when Tom was there, to provide verification. He visited the bank multiple times so they could get the accounts transferred. Just when she thought they had it all figured out, Tom would come in waving another check. “I got another one,” he’d say. It wasn’t until three months later — three months of meetings, phone calls, and tracking down information — that every account was successfully moved to direct deposit. Tom was jubilant. “Thank you!” he told Danne. “We wouldn’t be what we are without people like Danne,” LeRoy said. For Danne, it’s part of the job. 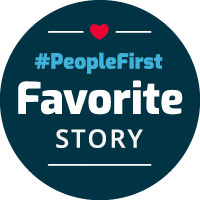 When asked how Choice Financial cultivates this kind of PeopleFirst culture, Danne laughs. 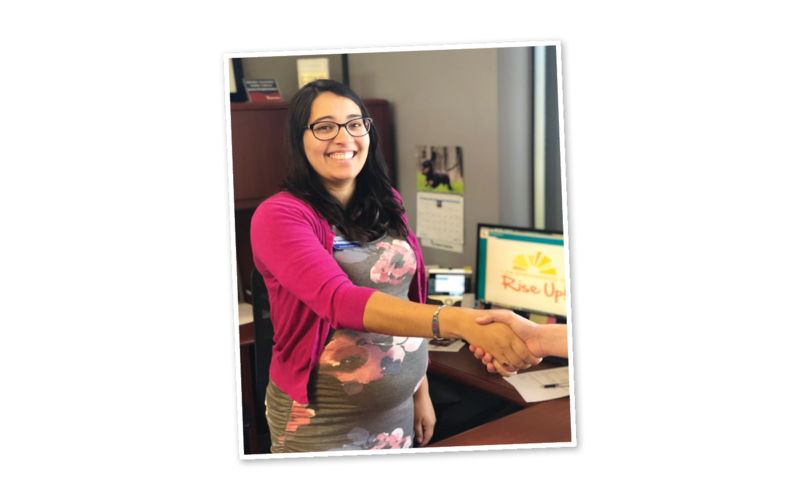 LeRoy points to Danne as a great example of the kind of culture and customer commitment that is characteristic of Choice Financial. Now when Tom comes in for his monthly visit, he doesn’t bring in his checks. He has all the information he needs printed on his statement. He’s free to chat with Danne and enjoy the company of the folks at Choice Financial. And if another need should arise, he knows he’s in the right place. *Name changed to respect customer privacy.